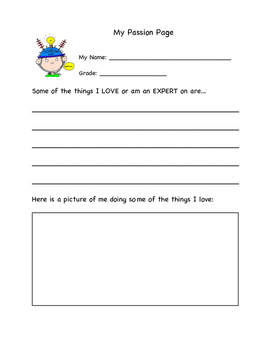 Here are a complete set of differentiated "Passion Pages" I created to get the whole school excited and involved in the Genius Hour concept. 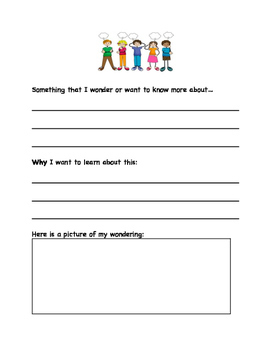 I have also posted the Pre-K one I used for free on my store, so grab that too! 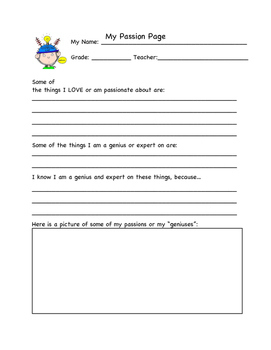 I used these before my middle school kiddos did their "Genius Hour Showcase" for the community and displayed every single student's pages to show how we all have passions and to get them excited about Middle School Genius Hour!